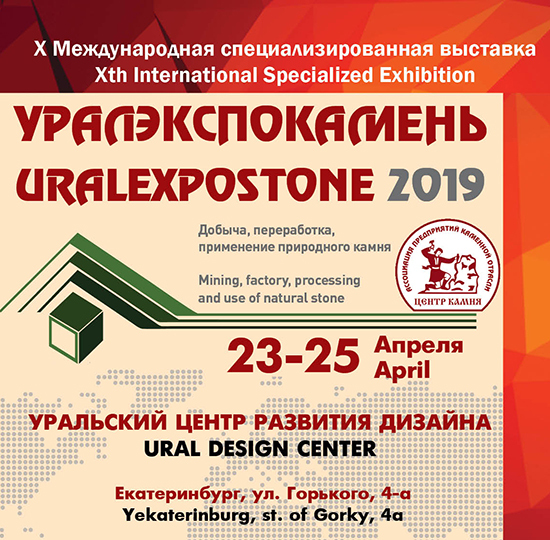 April 23 - 25, 2019 will be the 10 th International Specialized Exhibition "URALEXPOSTONE 2019: mining, factory, processing and use of natural stone". The exhibition will be held in the exhibition center "URAL DESIGN CENTER". The organizer of the exhibition is the Association Stone Industry of Russia "Center Stone" with the participation of the Ural State Mining University.